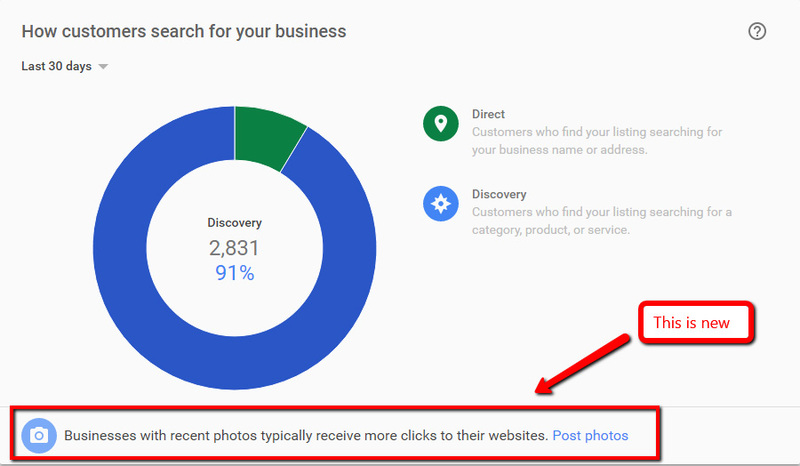 For months now Google has been stressing the importance of photos in your Google My Business profile (I recently made a video about how important your GMB profile can be). 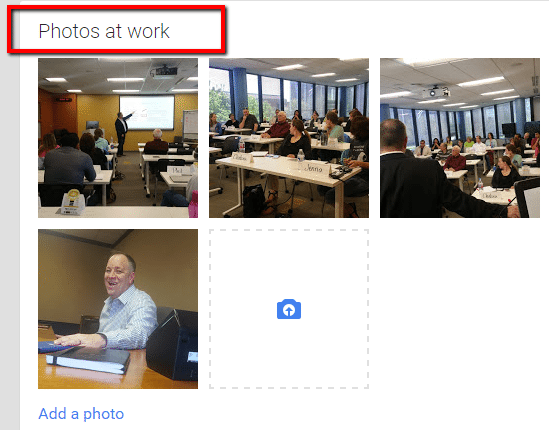 When I was putting together update reports for my clients last month I noticed something new. When you are logged into your GMB profile, there is a tab labelled “insights”on the far right hand side of the navigation bar. 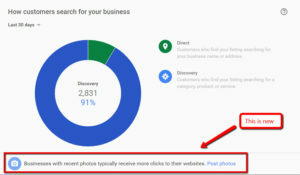 If you click on “insights” you can see a wealth of great information from what percentage of your visitors came from an organic visit or a direct visit (typed in some variation of your business name) . . .
. . . to where your visitors viewed your business on Google. 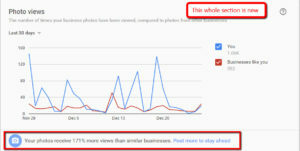 You can also look at what actions those visitors took . . .
For example, phone calls and when you received them . . .
Now all of this information is great, but it didn’t come as any surprise. That’s what “insights” is all about. But what I didn’t expect to see were these two NEW additions . . . 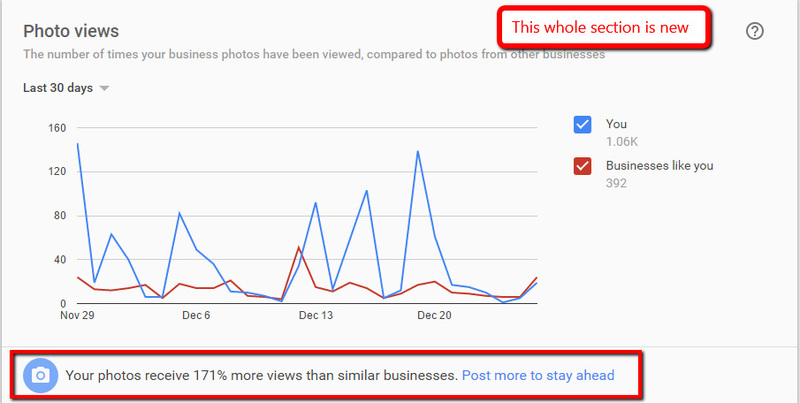 If you found this post useful, please consider subscribing for more. I always share my best stuff with my list first!